I have been blessed, on multiple occasions, to be a student of the great Zen master, scholar, peacemaker and artist, Kazuaki Tanihashi, who is very famous for his ‘one stroke’ paintings, executed in a single breath and in one action of the brush. Kaz is very aware that each small action we engage is an act with vast strength, reach and meaning. “Each line we draw carries our wish for our children and their children.” he writes in one of his many books. My own notes from working with him include this: “Each line has a beginning which is more than a beginning and an ending which is more than an ending.” The line of my life is rooted in so many others, and hopefully offers energy to lives far beyond my own. 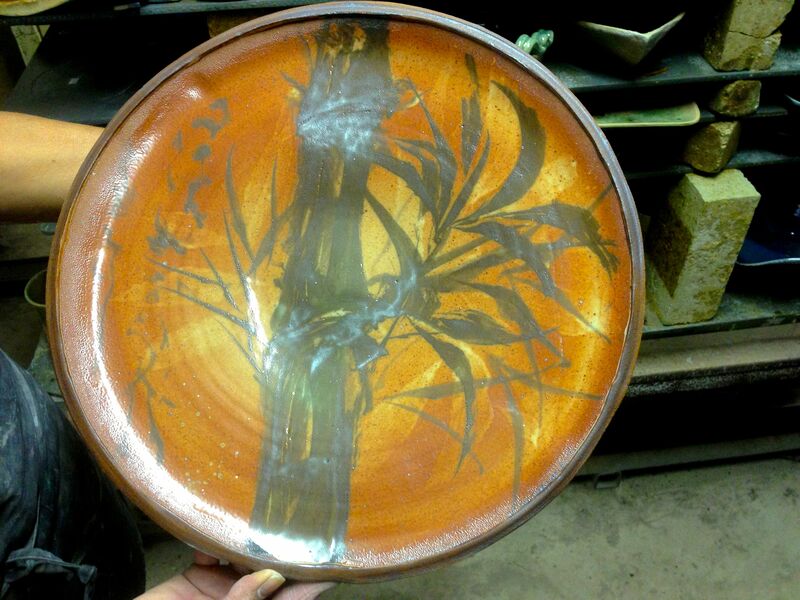 This platter is my first execution of a “one stroke” painting on a ceramic body. Calligraphers will see the lines beginning beyond itself and the end which does not end. About my favorite item I produced this year, and I will hope to see this line again in coming years. Sometimes we all need a moment of small to help us refocus our ability to be present to the vast wonders which surround us. For me, sometimes that is a morning walk where I gather three to five small items from nature: a few leaves, perhaps a flower or a rock. 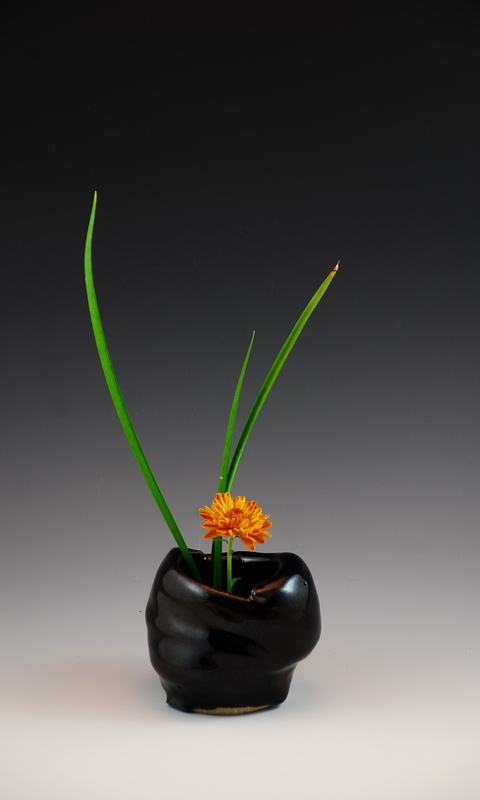 Small ikebana vases like this one are a great tool for this practice, and can produce, from one’s own morning contemplation and enjoyment of nature, a similar moment for another. This year, there are lots of small ikebana vases like this one in many different glaze styles (with a high quality metal pin frog inside to facilitate the arrangement of your objects of wonder). A very inexpensive way to move the enjoyment of your morning walk onto your desk or reception area so others might enjoy this moment. A challenge came from a friend to produce an East Asian influenced tea set. This large and rustic teapot has wondrous texture (as do the plates) drawn from classic Japanese patterns. Yunomi and small plates complete the set, but I’m going to have to add some great sencha to warm those winter afternoons. 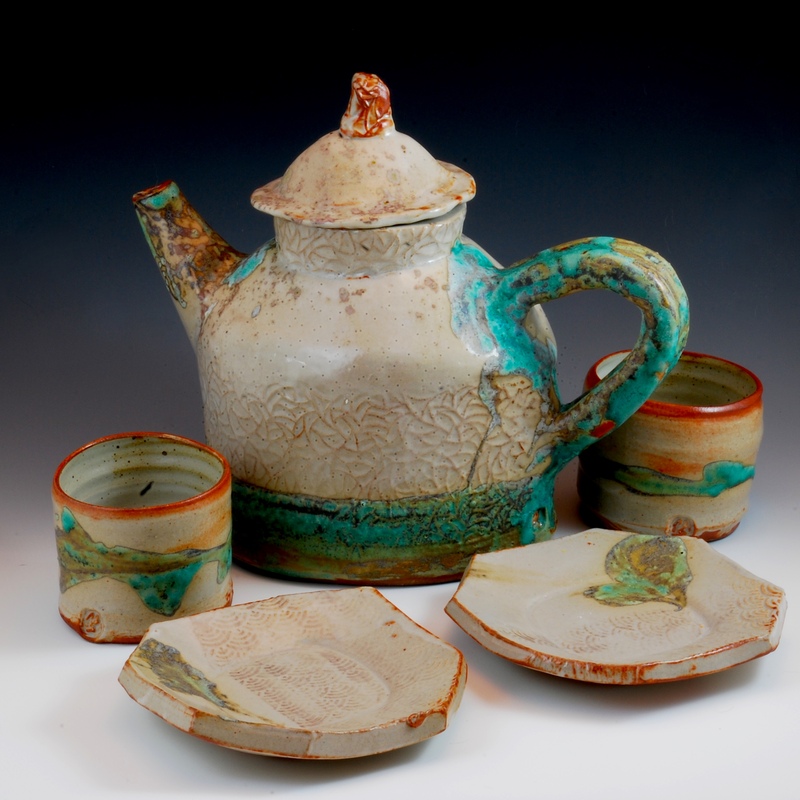 A similar teapot (without the turquoise glaze) will be at the November 8 show at Finch Farm. 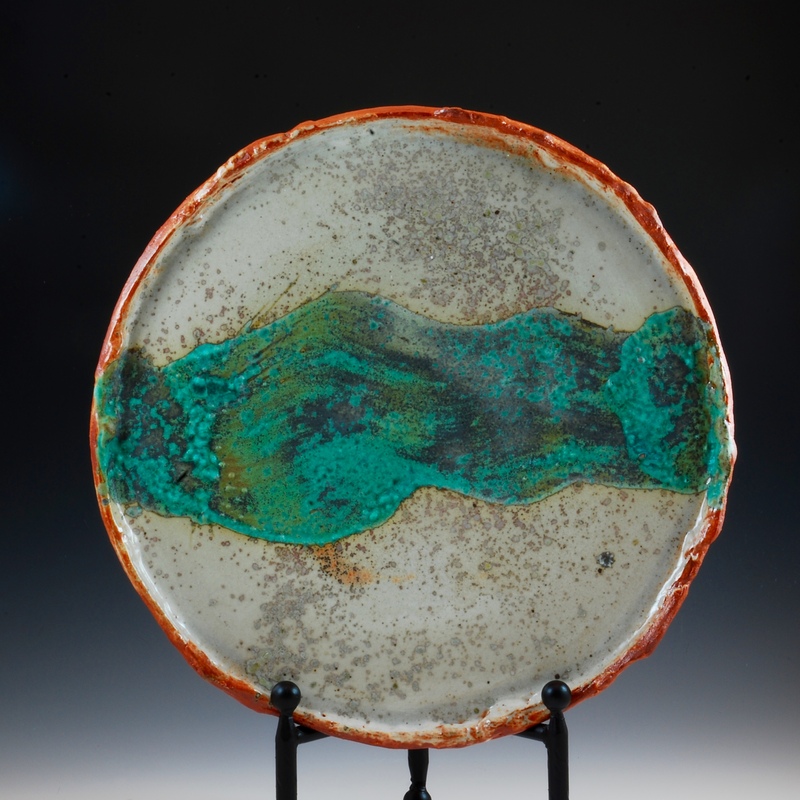 One might build their own set, as there will be yunomi and lots of small plates in many different glaze styles. Come and enjoy! This large and heavy vase has a ceramic frog in it designed to support a small tree branch, although it will also be great with a bouquet from the grocery! 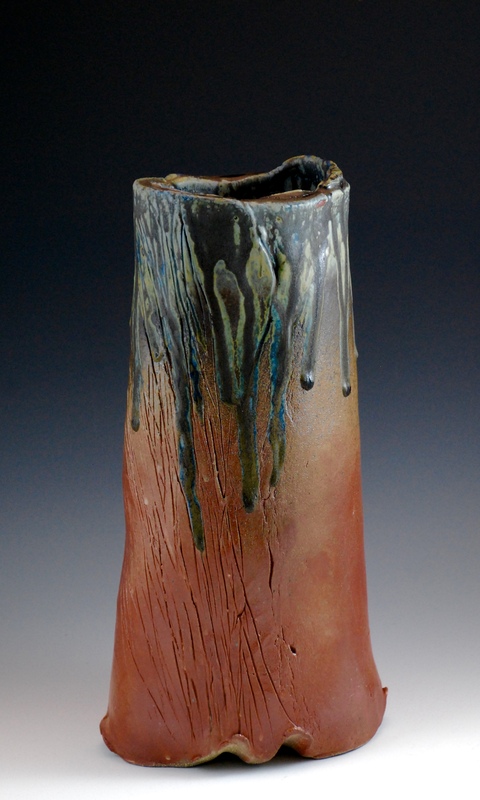 Shino and cobalt ash have combined with slips to produce some subtle and beautiful effects on both sides of this great vase. 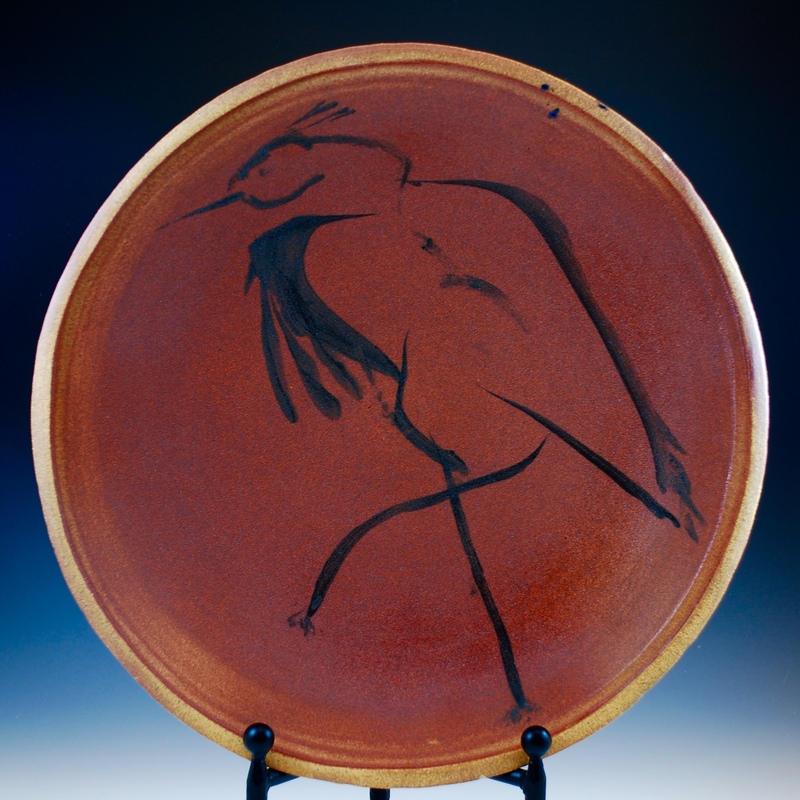 It will be at the Ancient Earth Pottery Booth at the Dan Finch Open House on November 8, 2015.